Thank you to all of our participants (athletes, parents, and coaches) for joining us this March! The Specialized High Aptitude Resource Program offers athletes, parents, and coaches participation in a unique program which is designed to provide opportunities for accelerated learning, skill development, as well as exposure to sport facilitated emotional, intellectual, and physical engagement in many relevant areas. Kori Ade has been training her national, world and Olympic athletes using this methodology for over twenty years and has now made it accessible through SHARP 4 Sports. 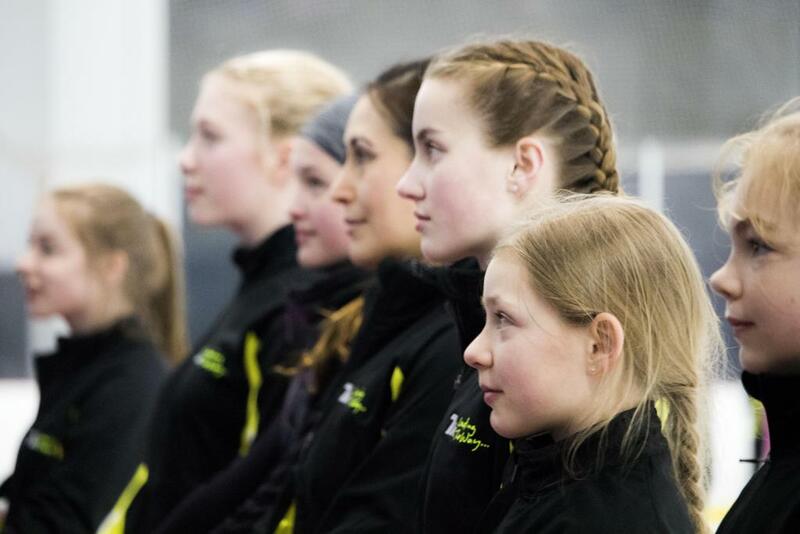 Kori believes in training the whole athlete and as a result has produced champions both in life and on the ice. To implement a program within youth sports whereby athletes, coaches, and parents communicate with a shared vision, purpose, and intention. To foster an optimal environment by providing resources for support of each athlete's potential through education, opportunity, and integrity. To develop young individual's talent within continuous physical, emotional, and intellectual growth in an effort to produce balanced, healthy, and successful athletes. - Daily/weekly updates, motivation, tips and tricks, videos and more! - Material for coaching the "whole athlete"
- Daily/weekly updates, tips and tricks, videos and more! ©2019 SHARP4Sports / SportsEngine. All Rights Reserved.